It’s your favorite Moose with some amazing insight from our Cedar Point Basecamp. This week, we learned How God can do anything- SERIOUSLY! ANYTHING. He can even feed 5000 people with five small loaves of bread and two small fish. I pack more than that for lunch. Jesus really is amazing! Our story this week is found in John 6:1-15. Many people followed Jesus around. They wanted to listen to Him speak or to watch Him perform miracles. It wasn’t surprising that Jesus had a large crowd that day. What was surprising - especially, to the disciples - was his request to feed this very large crowd. To give everyone just one bite of bread would have cost more than half a year’s wages. Yet, Jesus was able to take five loaves of bread and two tiny fish and multiply them. So much so, that they even had leftovers. The Bible is full of incredible stories that show the power of Jesus. It is important that we remember; God is still doing amazing things today. 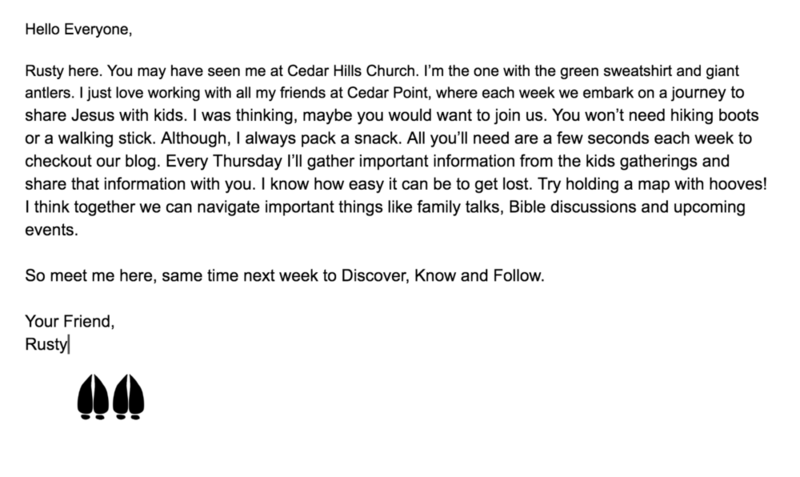 Take the time to share with you kids the way God provides and shows up for your family. It’s been a while and for that I apologize. There have been so many things going on in Cedar Point. My hooves can barely keep up with my brain. This week we talked about one of my favorite stories, found in Mark 2:1-12. The story of the Paralyzed man and his friends. They believed so deeply in the power of Jesus, that they cut a hole in someone’s roof and lowered their friend down before Jesus! It is hard to imagine doing something like that, but Jesus was a big deal and these guys knew that. What do you think about Jesus? Ask your kids that question. Do they know how important Jesus is? Have you heard the story of Jesus calming the seas? As someone who lives next to lake Pend Oreille, I've seen some pretty big storms. I can’t imagine how scary it would be to sail on stormy waters. We see how the scared disciples let their fear cause doubt in Jesus. They had seen Jesus do some amazing miracles. However, the minute things got scary or hard they began to doubt the power of Jesus. What did Jesus do? He calmed the seas. Jesus can do the same for us. When we are afraid and feel the storms of life all around us, Jesus helps us. That's our Point for this week: "Jesus helps us when we’re afraid." We have been talking a lot about fear lately which has been really helpful for me. Sometimes people call me a "scaredy cat." Humans can be strange. I'm obviously a moose, not a cat. To be honest, I am definitely a scaredy moose, but with Jesus I don't have to be! Rusty here. This week, our basecamp kids remain in Esther. Oh boy, it is interesting. We continue to hear about the ways that God showed up for Esther, even in situations that seem helpless. For example, when Haman tried to pass a decree to hurt all of Esther’s people, it wouldn’t seem possible that Esther could save all of her people. As we read the rest of the story, we see that God uses her to do just that. Esther was in a scary place. She needed the King to change this decree, but it was her word against the word of his trusted companion. The king was also known for killing those who showed up without being summoned. Through it all, Esther had faith that God would protect her… And…. HE did! Wow, when Esther obeyed Gods command, God kept her safe. The same applies to us. 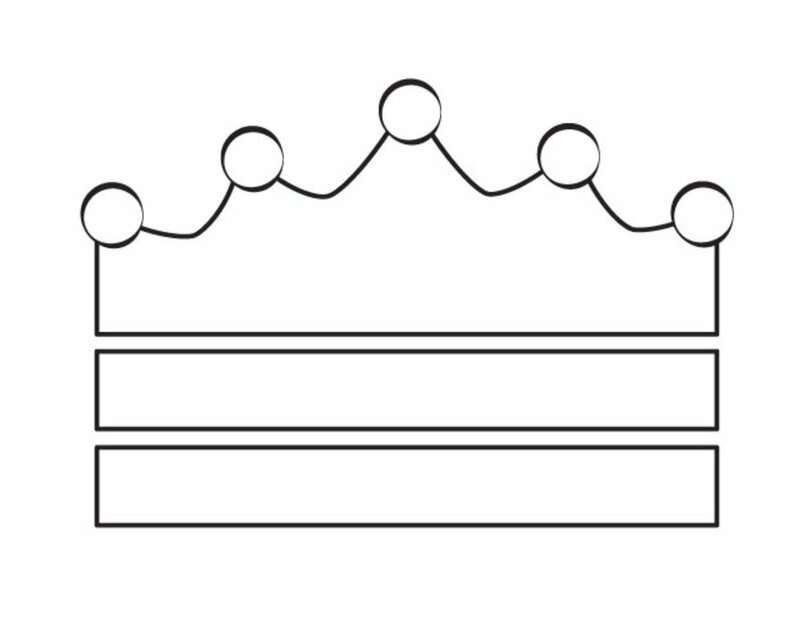 Below is a PDF of a crown. Feel free to print it out and let your child decorate it. They can wear it as a reminder that God keeps us safe, just like he did for Queen Esther. Your child should respond with this week’s Point, “ God keeps me safe!” The louder the better. It’s your favorite moose, or at least I better be. I know there is a lot of competition for that spot in Northern Idaho. I just wanted to let you know about all the cool things happening in Cedar Point this week. Our Basecamp kids learned a particularly fitting lesson since this week contained Halloween. We learned about how God keeps us safe, even when things seem scary. Our story comes from Esther 4:1-5:8. Esther was in a pretty scary situation, but by being faithful and trusting that God would watch over her, she was able to save her people! This week, I challenge you to read Esther with your kids and ask them what they are afraid of. If you need an example, Rusty is afraid of bears and escalators. Not easy walking on and off those with hooves. But in those moments I trust God and avoid malls. Rusty here! We have been reading some amazing stories filled with lions and warriors, but most importantly, filled with God and his love for us. Last week, we focused on how important prayer was to Daniel. So important, that he was willing to pray knowing he would be punished. This week, using the same story, we learned that we can trust God. God will protect us, even from something as scary and powerful as a lion. 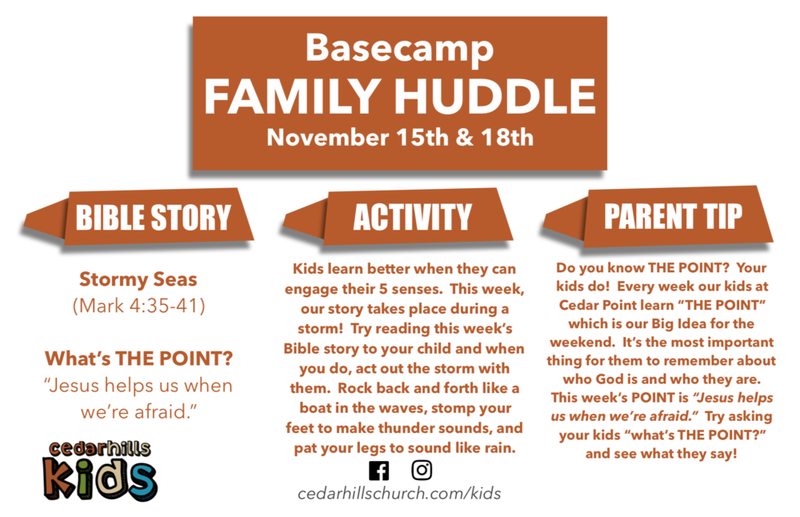 Make sure you continue praying with your little ones and help them with your family activity this week. We’re making lion’s manes using the beautiful fall leaves all around us! 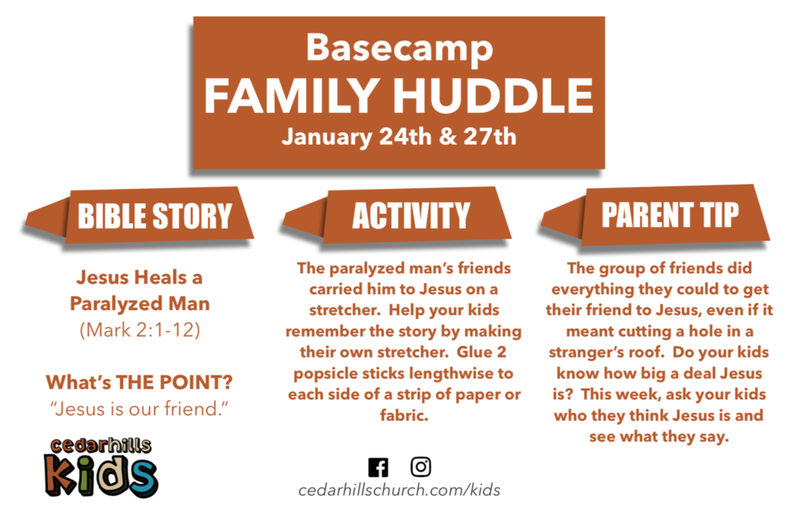 Check out this week’s FAMILY HUDDLE for more instructions. I suggested we use the leaves to make antlers, but apparently that doesn’t work with the story. Oh well. It’s Rusty! Oh boy, was today’s lesson exciting. We spent our morning in Daniel 6:1-23. That’s right, the story of Daniel and the lions. In this story Daniel was thrown in the lions den because he refused to stop praying. This goes to show just how important prayer was to Daniel and how important it is in our lives. Don’t worry parents, this story has a happy ending. Not only is Daniel protected in the lions den, but the king issues a decree that every part of the kingdom must give praise to the God of Daniel. This story is great. Not only, because it has lions, but It also reveals the power of prayer and Gods power to protect. Put this lesson to practice by praying with your kids every day this week. See you next week as we discover, know and follow.